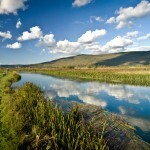 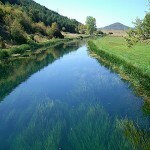 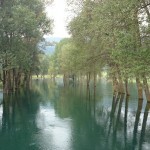 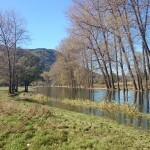 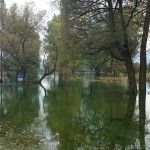 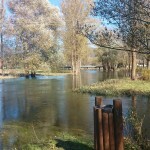 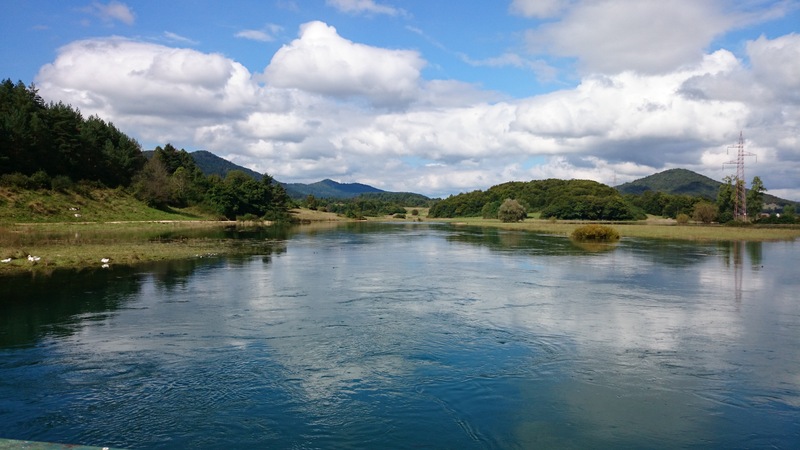 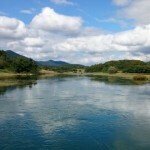 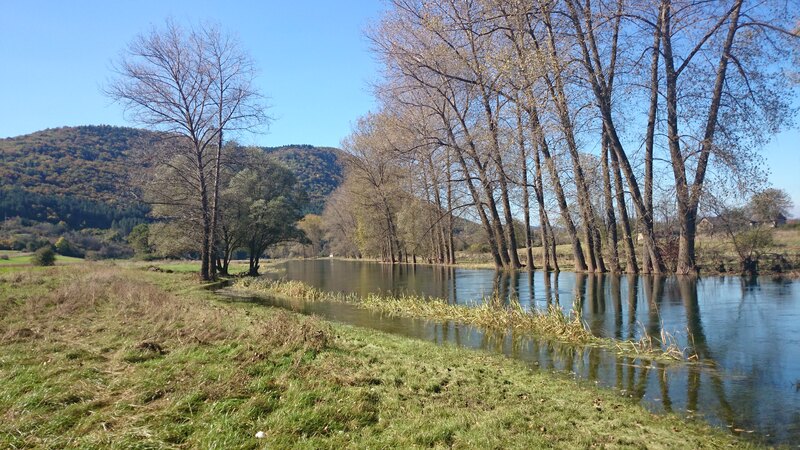 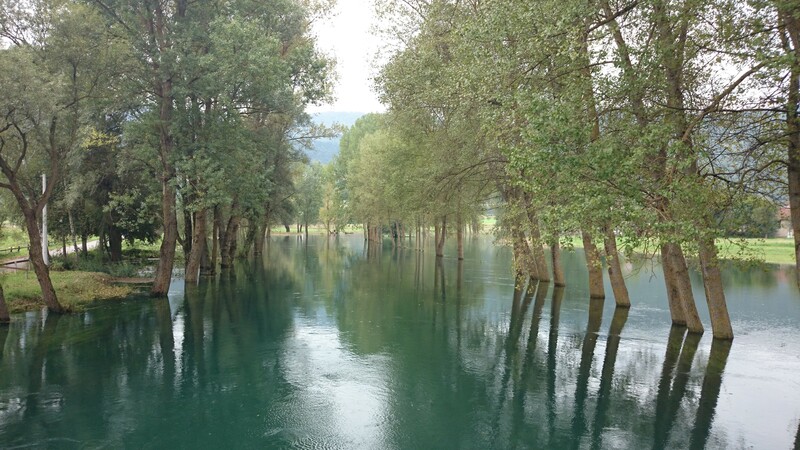 Gacka is one among the three best known river in the world. 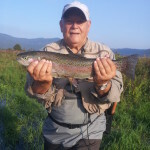 The beauty of this surrounding nature, the ambiance, and the fishing opportunities are able to capture the hearts of all those lucky enough to ever come and visit the worldwide known beauty. 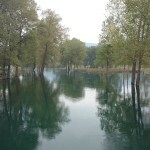 Gacka is extremely rich in both flora and fauna. 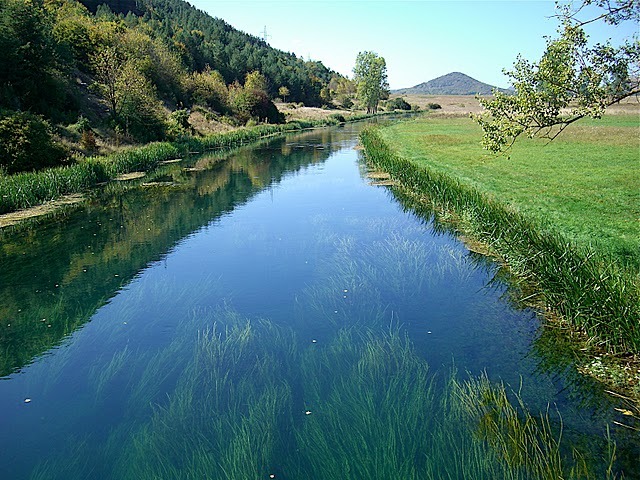 The vegetation is abundant owing to the favorable water temperature, convenient chemical structure, silty bed, and moderate flow. 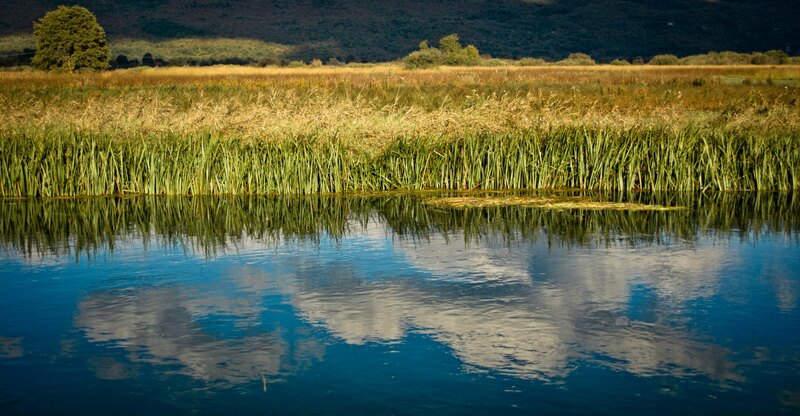 Underwather vegetation grows throughout the year, but its growth is nevertheless more pronounced in the warm seasons. 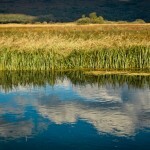 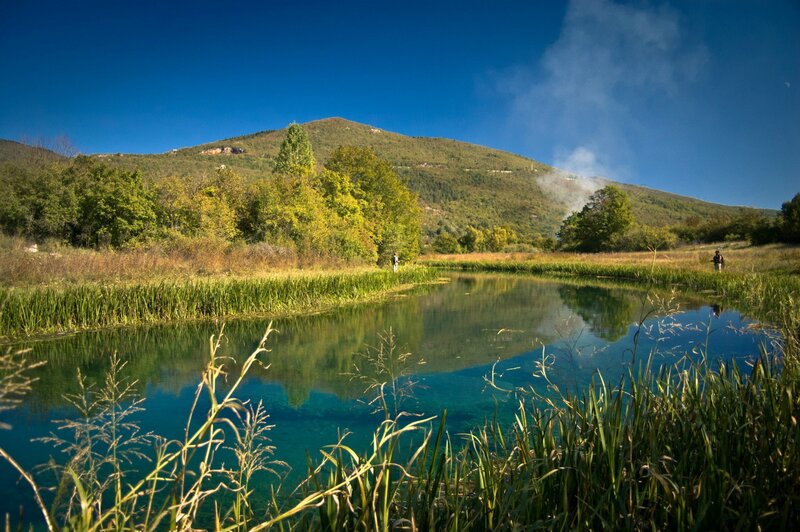 As many as 25 plant species have been identified: Algae, Bryophytes and woody plants. 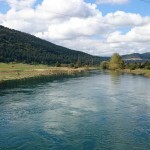 A / From the Gacka spring to Stanišić bridge (the fifth concrete bridge) fishing is allowed only with an artificial fly. 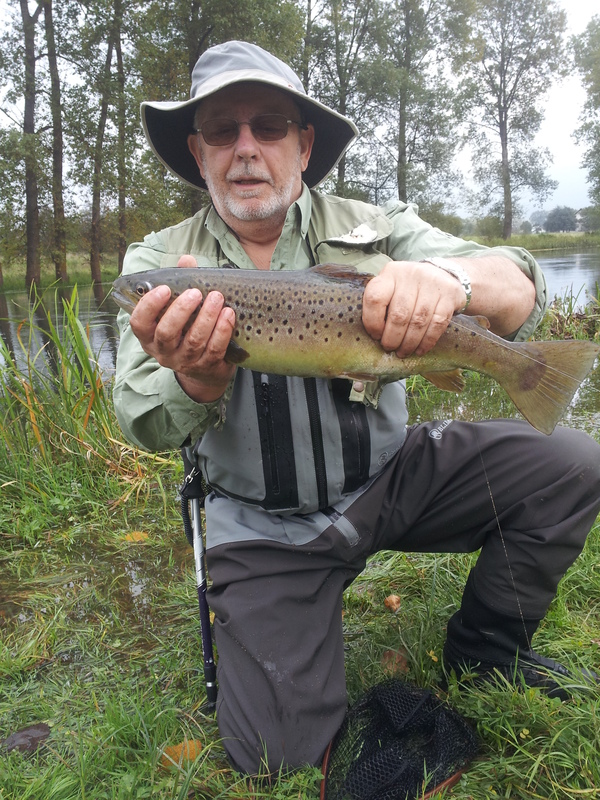 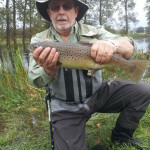 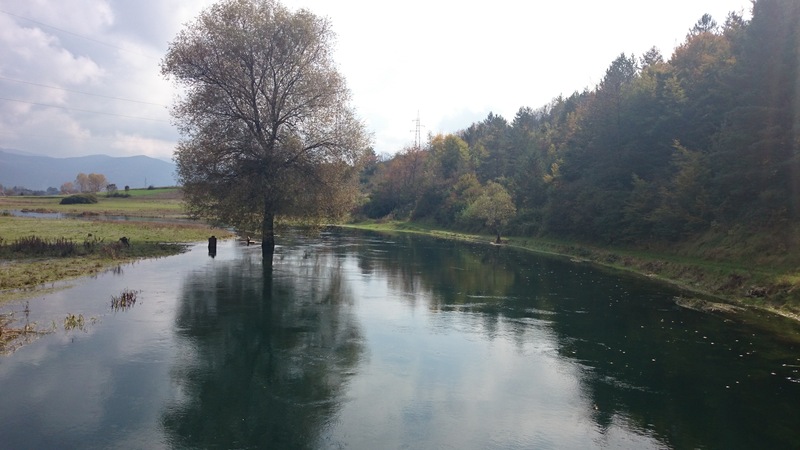 In the area of the church of Sveti Franjo to third concrete bridge (Toncini bridge) fishing is allowed on the principle of “catch and release”; all fish caught must be released back into the river. 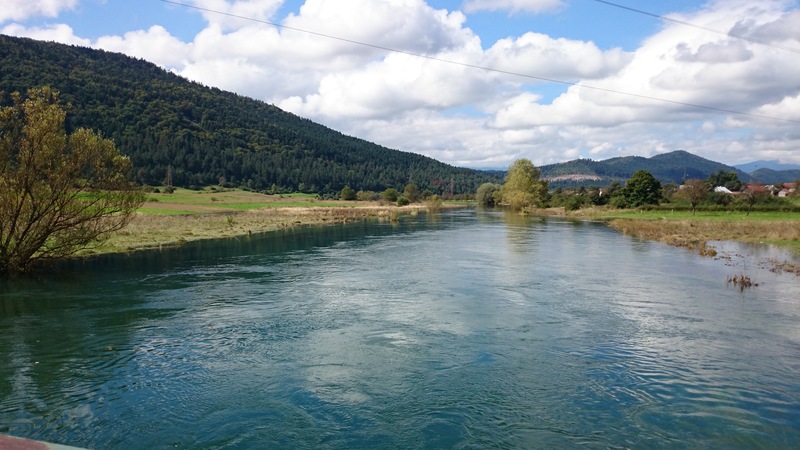 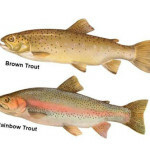 B / From Stanišić Bridge (the fifth concrete bridge) downstream fishing is allowed with an artificial fly and all other artificial baits. 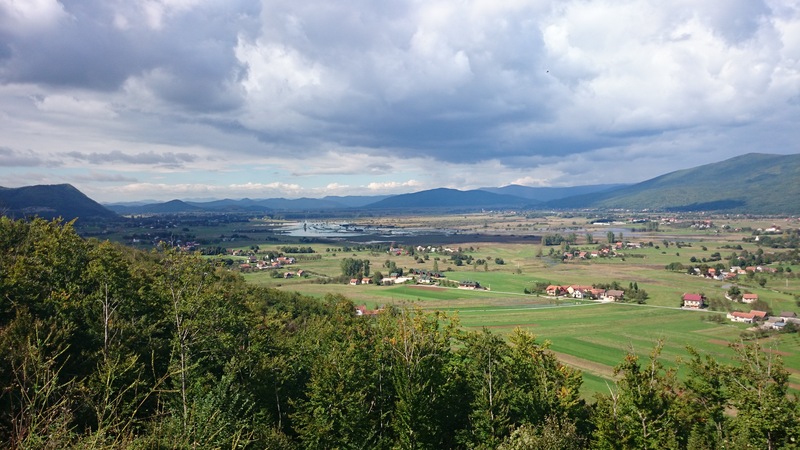 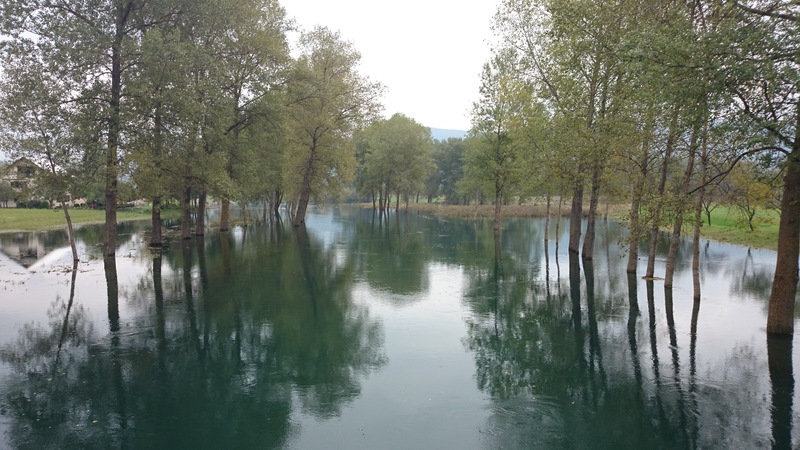 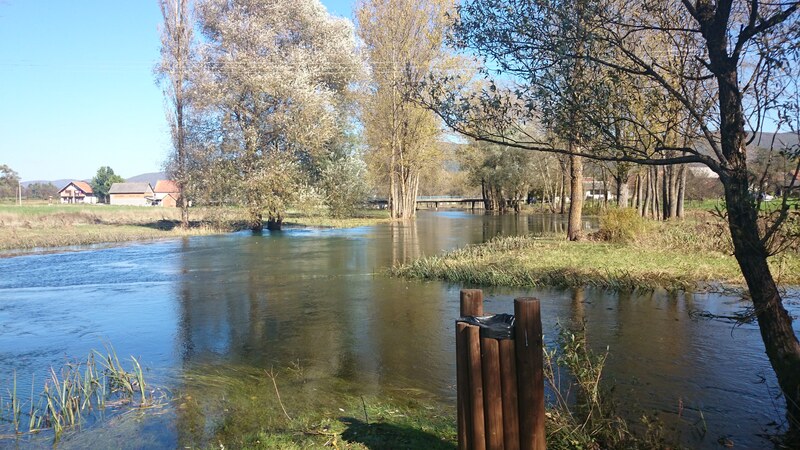 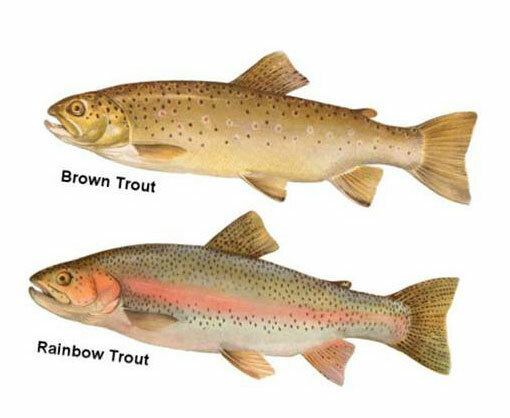 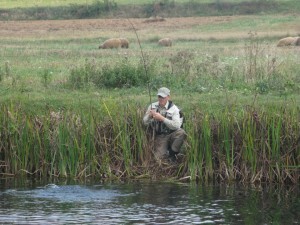 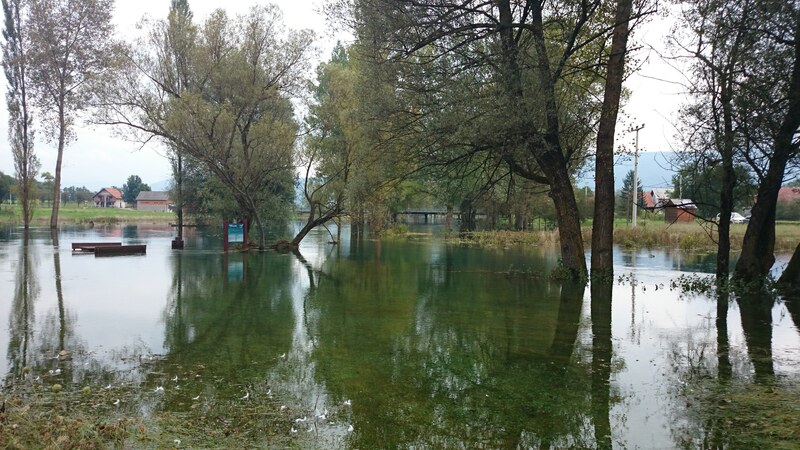 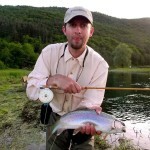 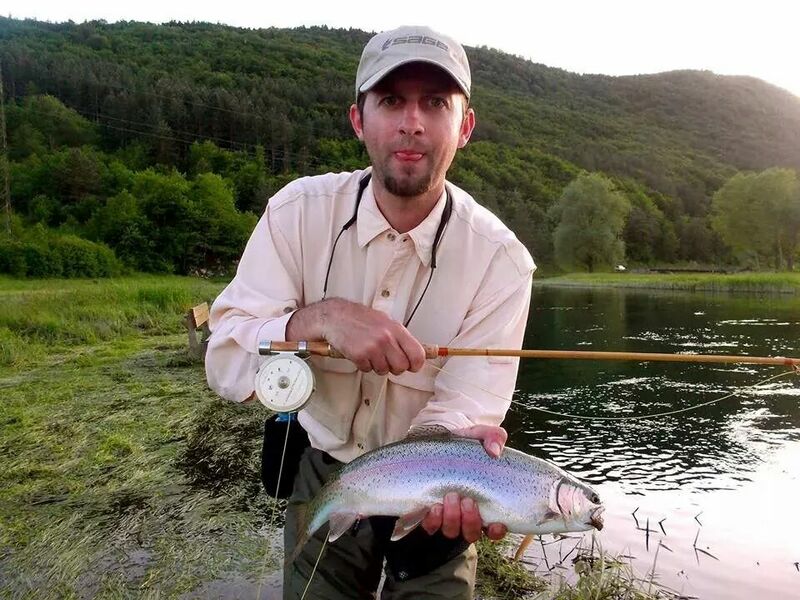 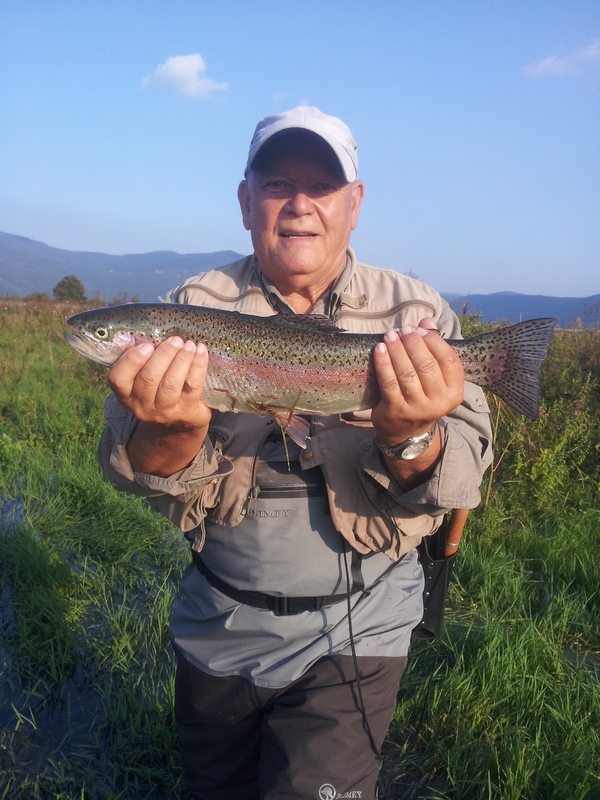 C / On the Švica and Gusić lake permitted to fish in compliance with statutory hunting measures. 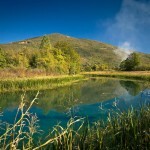 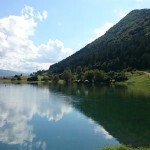 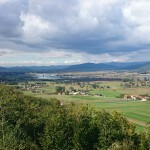 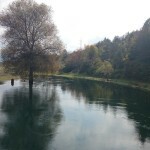 This revir includes the natural lake, name Švičko jezero in the village of Švica and the accumulation lake in the village Brlog, name Gusić jezero . 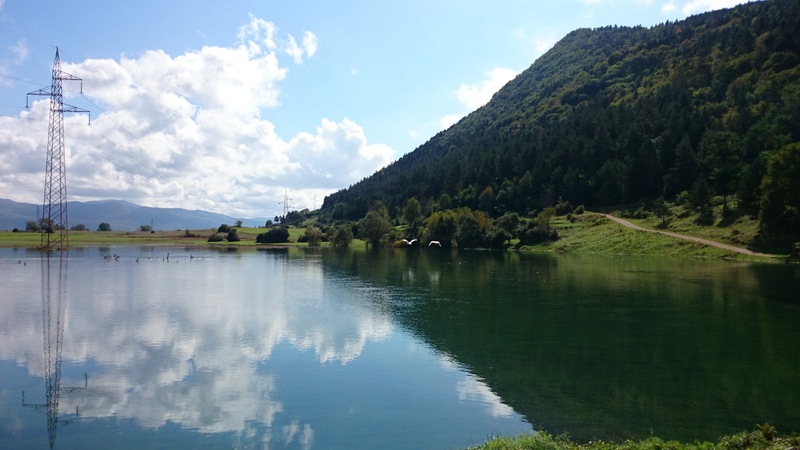 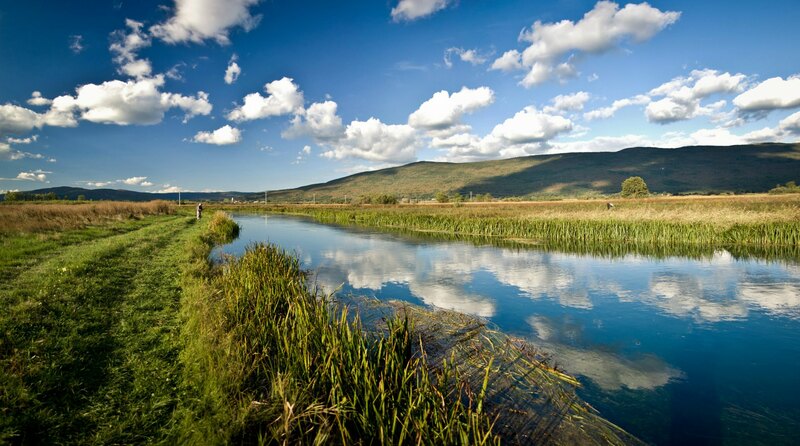 Švičko jezero is natural habitat for many species of fish, and the experience of fishing for carp and tench makes unique idyllic nature. 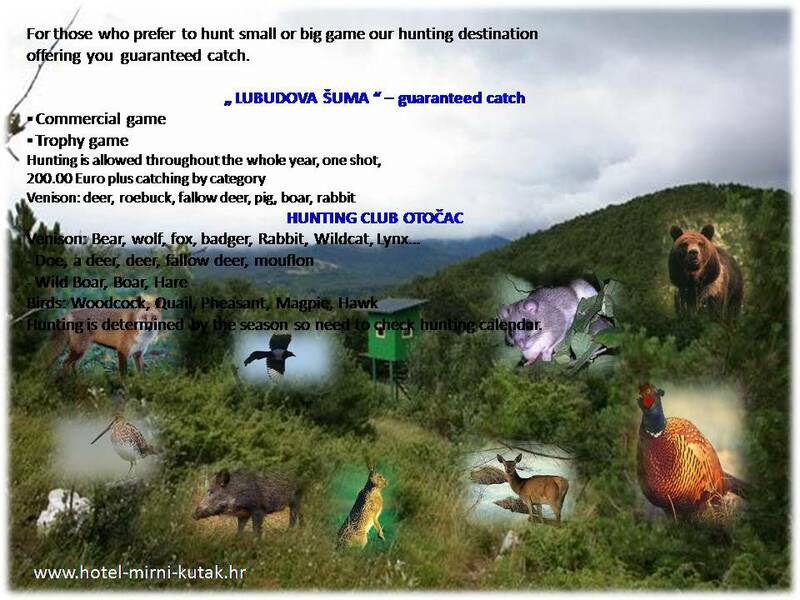 For those who prefer to hunt small or big game our hunting destination offering you guaranteed catch. 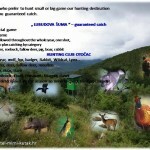 Hunting is determined by the season so need to check hunting calendar.